Games don't survive without a community behind them. That's simple fact. If it's just scattered gamers here and there, a game might limp along, but it's when those gamers get together on a regular basis that games thrive. Well, Battlefront is looking to help communities get together for an evening of Flames of War fun with their Game Night Kits. 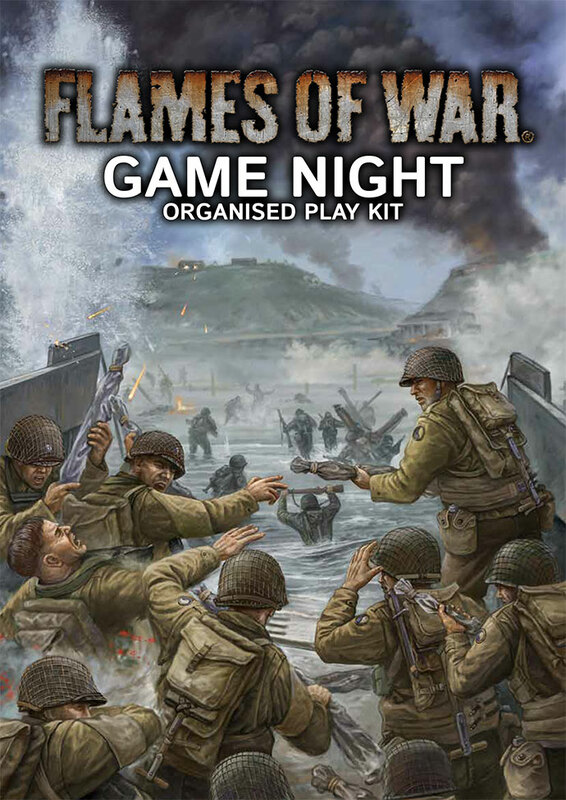 Flames Of War Game Night Kits are a fun way to spice up your normal casual pick-up games at your local store or club. Each week you will face a new opponent or army-list as you hone your skills and your force. Focus your groups local Flames of War meet ups while competing for with your friends for exclusive rewards. In each Game Night pack you will find everything you need to support a casual, three-month Flames Of War league in your club or store. During this league, players will collect points that go towards earning the exclusive rewards and prizes included in this pack. The three players who score the most points each month will win a monthly prize and the top three players at the end of the league will earn the overall Game Night prize.